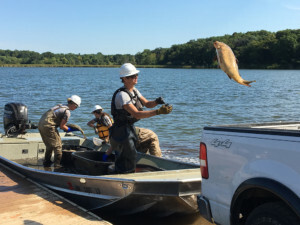 The Minnehaha Creek Watershed District (MCWD), in coordination with Three Rivers Park District, Carver County, the City of Victoria, and the rest of the Six Mile Creek-Halsted Bay Subwatershed Partnership, is beginning the first round of carp removals in the Lake Minnetonka headwaters. On Friday, Sept. 7, crews pulled up the first nets that have been set in Steiger Lake in Victoria. The work kicks off a multi-pronged, ten-year effort to improve water quality and wildlife habitat in the southwestern portion of the Minnehaha Creek watershed. 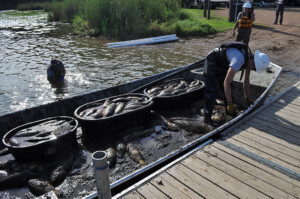 The carp removal, funded by a $567,000 grant from the Lessard-Sams Outdoor Heritage Council, is a key part of the strategy to improve conditions for gamefish and waterfowl while improving water clarity across the 14 lakes that drain to Lake Minnetonka. Future efforts include creating and restoring corridors of wetlands and uplands throughout the area including Wassermann Lake where the MCWD and the City of Victoria are partnering on a restoration that will also provide a park and public access on the lake. Managing common carp was identified as a priority tactic because of the damage they cause to lakes. Common carp uproot plants and stir up lake bottoms, which degrades habitat and releases nutrients that feed algae blooms. The carp management plan is based on data from a three-year study by the University of Minnesota’s Aquatic Invasive Species Research Center. The researchers found an unprecedented number of common carp in the Six Mile Creek system, including Lake Minnetonka’s Halsted Bay. They also identified where the carp are spawning and determined their migration patterns. 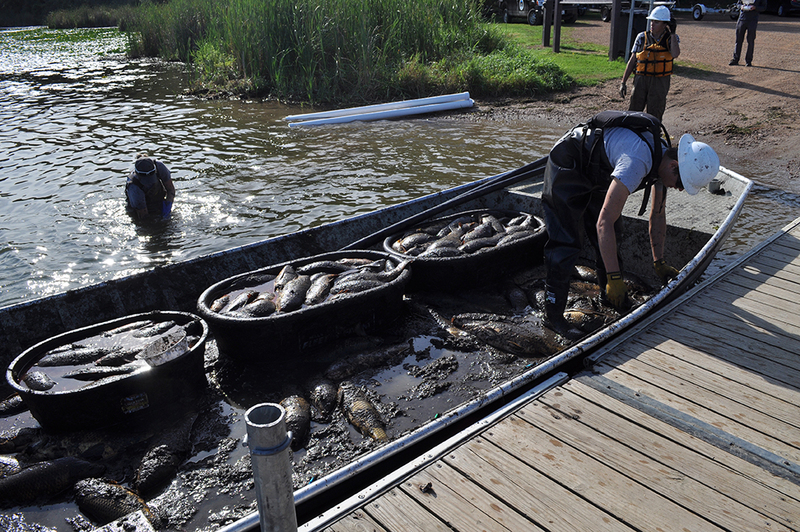 The findings helped shape a management strategy that includes removing adult carp, installing carp barriers, and aerating lakes to ensure the winter survival of bluegill sunfish (which feed on carp eggs). During the carp removal process, the MCWD will be implanting radio tags in carp to monitor their movement, which will help with future removal efforts. Monitoring will be done throughout this project to track carp populations as removal occurs, to evaluate the potential for carp reproduction in the carp nursery lakes, and to assess the ecological impact of the carp removal. In addition to removing and tagging carp, the MCWD will install barriers to stop carp from moving into and out of Wassermann Lake, Crown College Pond, and Mud Lake, containing the invasive fish and blocking their access to spawning locations. Rounding out the management strategy, the MCWD will be installing aeration units in Marsh, Sunny, North Lundsten, South Lundsten, and Mud Lakes to maintain their oxygen levels through the winter. The goal is to ensure the survival of bluegill sunfish so they can feed on carp eggs in the spring. 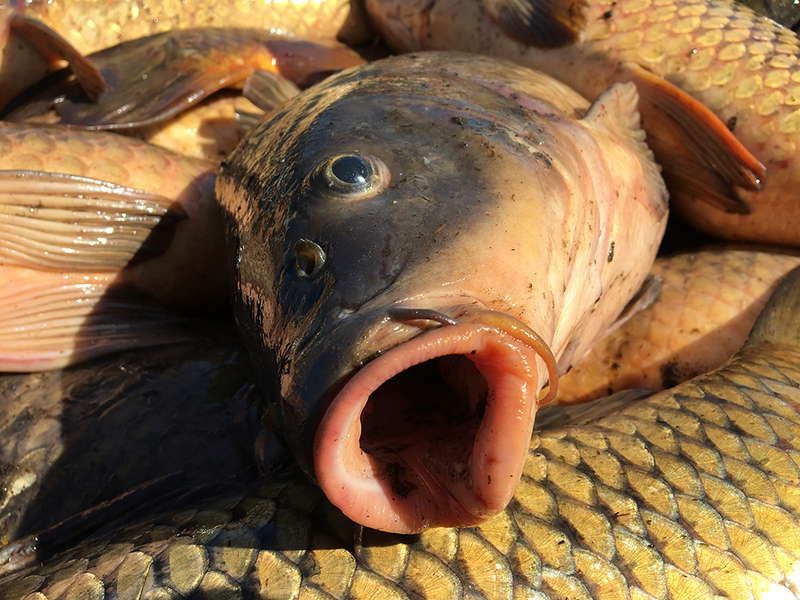 This multi-pronged approach to carp management increases the chances of a sustainable effort that provides long-term protection from invasive common carp across the subwatershed. 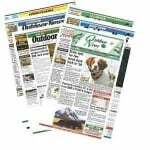 The project is part of a multi-jurisdictional partnership among the MCWD; Carver and Hennepin Counties; Laketown Township; the cities of Minnetrista, St. Bonifacius, Victoria and Waconia; and Three Rivers Park District. It’s a prime example of how the MCWD aligns its goals and resources with others to achieve sustainable, thriving communities. For more information on the MCWD’s work to improve the quality of water and quality of life in Lake Minnetonka’s headwaters, visit www.minnehahacreek.org/six-mile.